FIA World Rallycross stars Sébastien Loeb and Kevin Hansen took on one of the most iconic mountain roads in Loeb’s native France as they chased each other up Alpe d’Huez. The Team Peugeot Total team-mates got behind the wheels of their WRX cars to play a game of cat and mouse up the road to the French ski resort. Known primarily for being one of the Tour de France’s most famous cycling climbs, the road up is 14km with 21 bends covering 1120 metres of altitude. 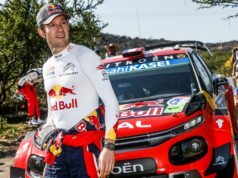 Loeb and Hansen competed with 600 horsepower powering their Peugeot 208s that go from 0 to 100km/h in 1.8 seconds – faster than an F1 car. 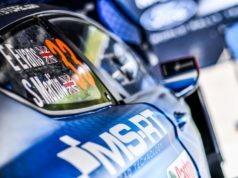 Frenchman Loeb currently lies fifth in the 2018 WRX standings ahead of the last South Africa race with Swede Hansen, 20, back in eighth place overall. 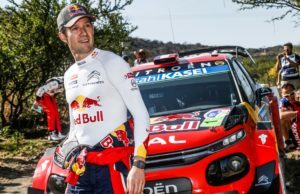 Loeb, 44, who recently won his 79th WRC race in Spain, is preparing for another January tilt at a maiden Dakar Rally win as a Red Bull privateer.